This blog post is brought to you by an epic failure in podcast recording. 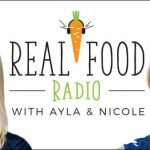 We recorded one of my favorite Real Food Radio podcast interviews of ALL TIME with special guest expert, Jeff Chilton. A full hour of juicy, fascinating information on medicinal mushrooms and when we went to edit the episode, we found the audio file unusable. To say we were disappointed (and totally embarrassed) is a huge understatement. But, the show must go on and in this case, we decided that the best thing to do would be to turn this interview into an info-packed guide to medicinal mushrooms! So read on to nerd out a little and take a deep dive into the world of medicinal mushrooms. Medicinal mushrooms are one of the fastest growing trends in the world of natural health and wellness. While they haven’t always been in the spotlight, the use of medicinal mushrooms has been embraced in Asia by traditional Chinese medicine for thousands of years. Today, we’re seeing a growing body of research on the various constituents and medicinal properties of mushrooms, but their benefits are still largely untapped. Nicole and I had the opportunity to take a deep dive with an expert in the world of medicinal mushrooms, Jeff Chilton. Note: this article is a summary of our interview and not a verbatim account. It also includes our own research and clinical experience. Jeff Chilton is the go-to guy when it comes to medicinal mushrooms and his journey into the mushroom business is fascinating. Jeff’s expertise in this area started at the University of Washington where he studied ethnomycology in the late sixties. In the early seventies, Jeff started working on a commercial mushroom farm in Olympia, Washington where he became the production manager and was responsible for the annual cultivation of over 2 million pounds of agaricus mushrooms. He was also involved in the research and development of shiitake, oyster and enoki mushrooms. In the late seventies, Jeff was a founder of Mycomedia, which organized educational conferences that brought together experts in mushroom identification, ethnomycology, and mushroom cultivation. In the eighties, Jeff operated a mushroom spawn business and in 1989, he started Nammex, a business that introduced medicinal mushrooms to the supplement industry in the United States. Believe it or not, Nammex was the very first company to offer a complete line of Certified Organic mushroom extracts to the United State’s supplement industry. Nammex’s Certified Organic mushroom extracts are noted for their regular analysis of the active compounds that ensures a very high quality product. Jeff traveled extensively in China, the home of traditional Chinese medicine, in the nineties which contributed to his hands on knowledge of medicinal mushrooms. China has a deep history with mushrooms as they’ve been using them in traditional Chinese medicine for thousands of years. In other words, China was the real trailblazer when it came to the development of mushrooms as medicine. Long story short, Jeff is the mushroom expert. What we call medicinal mushrooms aren’t limited to just mushrooms. In fact, mushrooms are just one “plant part” or stage of a larger group called basidiomycetes. The other plant parts are the mycelium, which is a “vegetative body” and the spores. The life cycle of basidiomycetes starts and ends with billions of spores that are produced by the mushroom. These spores start the life cycle by germinating and producing a hypha. Next, the hyphae grow together and form a network called a mycelium. This part of a basidiomycete grows and amasses the nutrients required to actually make a mushroom. Once the environmental conditions are optimal, a mycelium will produce a mushroom. Long story short, the mycelium collects energy that allows it to ultimately yield a mushroom. The mushroom, or the “fruiting body,” produces spores that germinate into hyphae and form a mycelium. In comparison with the mycelium, the structure of mushrooms is much more complex and produces many powerful natural compounds. Mushrooms are nutrient dense. They have a broad amino acid profile and are loaded with vitamins B1, B2, and B3, potassium, phosphorus, fiber, and beta-glucans. The three most notable active compounds found in mushrooms are beta-D-glucans, triterpenoids, and ergosterol. Beta-glucans are naturally occurring polysaccharides that make up 50% of the cell wall of most mushrooms. It is the beta-glucan content and specific beta-glucan architecture that makes a mushroom medicinal. Activity differences are due to the architecture of the beta-glucan being a little bit different from mushroom to mushroom. Reishi mushrooms and turkey tail mushrooms have the highest amount of beta-glucans, but delicious edible mushrooms like shiitake, maitake, lion’s mane, etc. also have high amounts of highly active beta-glucans. Triterpenoids are another thoroughly researched active compound found in mushrooms. Like the beta-glucans, triterpenoid content varies mushroom by mushroom, but they are especially found in a few notable medicinal mushrooms like reishi and chaga. Primarily, triterpenoids function to protect your liver, lower your blood lipid levels, protect against oxidative stress, block the release of histamine and are considered anti-inflammatory. Ergosterol is an active compound that is specific to fungi. It has functions similar to cholesterol in humans. It’s also a precursor (a provitamin) to vitamin D2. With the help of UV light, ergosterol is converted into ergocalciferol which is known as vitamin D2. Ergosterol has also show positive activity on immune cells. Jeff’s company systematically tests for the content of beta-glucans, ergosterol, and ergothioneine in every batch of their products. This means that they have a body of data built up that they use to ensure consistently high-quality mushroom products. This type of testing is what you want to look for when choosing a medicinal mushroom product. Below, are a few of my favorite mushrooms and the ones that I use regularly with clients: reishi, lion’s mane, chaga, and cordyceps. Note that each has distinct medicinal uses and like all herbs, it’s important to find the right fit and dosing for you. You’ll see commonly recommended dosing strategies included with each but note that it’s always best to work with a qualified expert to match to your needs. And per usual, no recommendations made here should replace your medical provider’s advice. Reishi mushrooms are a great place to start if you’ve never experimented with medicinal mushrooms before because they are very well tolerated. Because they have high levels of both beta-glucans and triterpenes, it is the number one recommended mushroom for overall immune function. Reishi mushrooms also have adaptogenic properties that are used to promote relaxation and calmness. The triterpenes found in reishi mushrooms are also good for your liver as they help your liver purify your blood. If you’re looking for a way to start incorporating reishi into your diet, start by adding a little bit of Reishi to your coffee. It gives the coffee another bitter note that is surprisingly pleasant. Dosing: 2 tsp/day up to 30 dried grams (10 tsp), or 1 tsp of a 10:1 ratio. Lion’s mane mushrooms are known for their ability to regenerate nerves, boost memory, enhance brain power, relieve depression and anxiety, and reduce inflammation. They also contain hericenones and erinacines, two compounds that can stimulate the growth of brain cells. Dosing: 2 tsp/day, 1:1 ratio. Chaga mushrooms are known to boost immunity, reduce inflammation, protect against cancer, lower blood sugar levels and reduce cholesterol. It’s believed that taking chaga with warm or cold water releases its medicinal properties. Dosing: 1-2 tsp/day 1:1 ratio, daily. Time for me to admit that mushrooms have never been my favorite vegetable. In fact, I actively avoid them in dishes. But, as it turns out, I’ve likely been preparing them wrong all these years. The key with preparing mushrooms on their own is to cook them in a hot pan on high heat. When the pan is hot, the moisture inside the mushroom gets sealed inside. Believe it or not, mushrooms are 90% water. If the heat is too low, the water is lost and your mushrooms will turn into a soggy mess. To avoid this, slice your mushrooms at about ⅛-¼ of an inch, brown them up on high heat, cook them until they’re well done and then sprinkle with salt and pepper. When it comes to mushroom supplements, it’s important that you get enough of the active compounds to see the therapeutic benefits. For example, if you took a mushroom and ground it into a fine powder, you would need a lot of that powder to get enough of the active compounds. The key is to make sure that you get a mushroom supplement that is concentrated into a form that will provide a beneficial dose of the active compounds so that it will actually produce an effect. Be wary of products that list a large number of different mushrooms, herbs and various ingredients per serving. 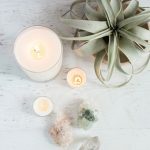 Often, these combination products do not contain sufficient amounts of any of the ingredients to be therapeutic. In other words, you may just be wasting your money. 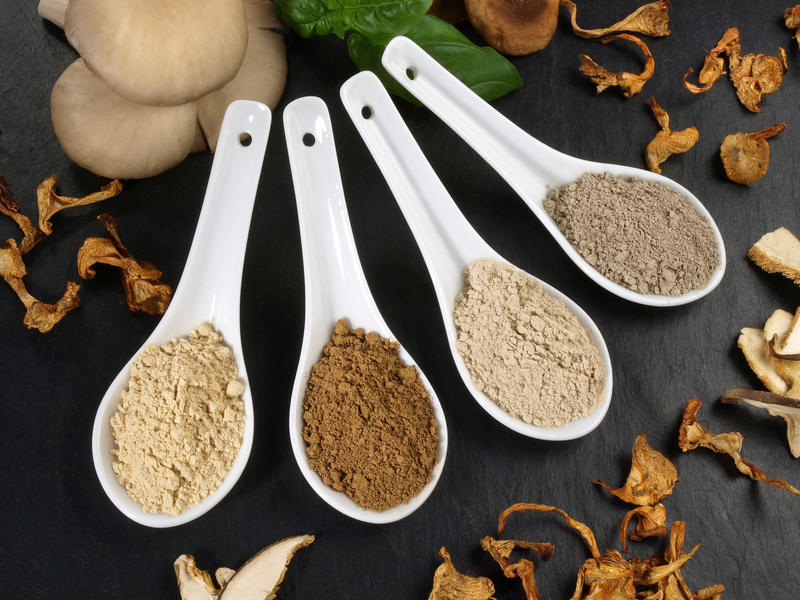 Some mushroom supplements are processed by hot water extraction into a fine powder suitable for encapsulation or beverages. Another popular extraction method is called a tincture, which is a double extraction process that extracts both the water-soluble components (polysaccharides) and the alcohol-soluble components (triterpenes) to maximize the medicinal effects. Some mushroom companies in the supplement industry are selling mycelium that is grown on rice or other grain mediums and may not disclose that what they are using could pose an allergen risk. Additionally, some of the products being sold as mushrooms will say “reishi mushroom” or “shiitake mushroom” on the label, but it will actually be myceliated grain and a very small amount of the actual mushroom or even no mushroom. These products are similar to Tempeh. Another consideration is that real mushrooms sold as supplements are primarily produced outside of the country – usually in China. Testing to ensure the identity, contaminants, etc. is absolutely crucial when it comes to mushroom supplements. How does the industry test for quality, identity, and potency? The best method is to test for beta-glucan content, the primary medicinal polysaccharide of mushrooms. The industry standard test is the Megazyme test, which is now available at many labs. An outdated method is to test for total polysaccharide content. However this test also measures alpha-glucans like starch. Starch is a polysaccharide found in household foods like potatoes, grains, corn, rice, etc. If starches are present in a mushroom product and the product is tested, it will produce a false positive for beta-glucans making it an unreliable measure. So, it’s critical that an independent, 3rd party uses the Megazyme test that specifically tests mushroom beta-glucans. Starch is also utilized as an indicator of adulteration because it dilutes the medicinal mushroom content in the supplement. Additionally, the starch content may or may not be fully disclosed on the package so it can pose as an allergen or sensitivity risk. Luckily, just like mushrooms are consistently high in beta-glucans, mushrooms are consistently low in starch. On the flip side, mycelium grown on grain contains low amounts of beta-glucans and high amounts of starch due to the grains. This means that when you’re choosing a mushroom supplement, you want to choose one that is 100% fruiting body (mushroom) and not the mycelium. 3rd party independent testing (meaning an independent, outside testing lab and not the supplement company themselves) measure the starch content of all of their products to demonstrate that they are completely pure with no added fillers – just mushrooms. Measuring the starch component is so important because again, fillers like grains, dextrose and maltodextrin are commonly used to dilute products. 3rd party testing should also provide data on identity (is it the mushroom, including the species, that is claimed on the label? Is the amount on the label claim accurate? ), and contaminants. A simple cheap way to test for starch is the iodine starch test. There are great online videos that demonstrate this simple test method. You’ll want to make sure that your mushroom supplements are Certified Organic. When a mushroom supplement is certified as organic, you’ll know that it’s free of toxins and grown sustainably without damaging the environment. Jeff recommends that before you buy a mushroom product, ask yourself these questions: Is it made from the mushroom? Is it an extract? Is it organic? 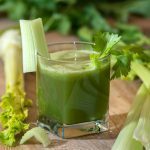 Does it list measured amounts of beta-glucans? Does it list measured amounts of triterpenes? Does your reishi taste bitter? Does it list starch to show no fillers are added?